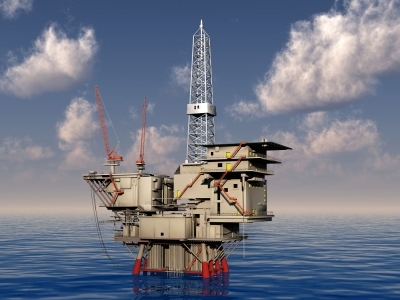 Tangiers Petroleum (LSE:TPET) is a dual listed oil and gas exploration (ASX:TPT) company. Tangiers listed on the AIM market in early 2012, but has since seen its share price eroded from circa 37.5p to the current price of 22.88p having made a low at around 19p. Tangiers has a market capitalisation of £26.40m and 115m shares in issue. Investors who purchased shares in Tangiers soon after the London initial public offering certainly will not be best pleased with the share price down around 40%. Whilst most details are shown on the chart, it looks poised to break the downtrend that it has suffered since the IPO. This could potentially lead to a recovery back towards 30p/share in the short term should market conditions allow. It is also interesting to see the structure of shareholders. Whilst the information provided by the company is only valid as of the start of 2012, it highlights the dense institutional background with regards to share ownership The lack of any holdings RNS' also proves that the major institutions have not reduced their holding below the 3% threshold. As per the company's website, the top 20 Tangiers institutional shareholders hold approximately 37% of shares. Additionally, this is likely to have increased as share placements have been undertaken. Despite this, the high proportion of shares owned by institutions and the relatively few shares in issue compared to other firms means that the shares are fairly illiquid. 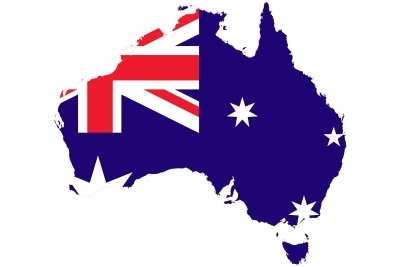 Tangiers holds assets in two locations; Morocco and Australia, both of which are very prospective. Within these two areas more than 13 prospects and 20 leads have been delienated. The resources that have been assigned to each license are huge as a combined figure, but Morocco far outweighs Australia in terms of prospectivity. A recent CPR survey has led to a staggering 5 billion barrels of oil figure for the Moroccan license as the top boundary and 200 million barrels of oil in Australia plus multi-TCF potential. The company is currently lining up an 'active exploration program' with 2 seismic surveys planned and 4 wells. The potential of this has been viewed by another dual listed company Range Resources (LSE:RRL) as a good investment opportunity thus Range had a ~4.85% stake in Tangiers that they took in September 2011 (which has since been cut down). In Morocco Tangiers operates in the Tarfaya license where it has a 75% interest, the other 25% being owned by the state owned oil and gas company (OHNYM). OHNYM are free-carried through the exploration phase thus they do not pay. Morocco is a fairly stable working environment for the hydrocarbon industry with attractive fiscal terms and political stability that is not shared by more eastern countries north of the Sahara. Morocco relies heavily on oil and gas imports thus the idea of become more self-reliant is welcomed by government officials. As noted by Tangiers, only 36 offshore wells have been drilled in Morocco, with less than a quarter being drilled in the 21st century. However, the area is now becoming gradually more active with a recent farm-in announced for the license directly next to Tangiers. The farm in was completed by Genel Energy (Tony Hayward has a major role in this company) with Serica Energy (LSE:SQZ) and San Leon Energy (LSE:SLE) having a reduced stake. Oil majors such as north American firm Anadarko also operate in the immediate licenses. One of the examples of Morocco being a good exploratory environment is for each discovery made by a firm, the company receives a 10 year 'holiday' where they are effectively free of paying corporation tax. Ultimately this means that many firms that can operate here will not being paying coroporation tax for decades on end as long as the legislation exists. Of course, as activity grows this deal will eventually be scrapped or tampered down. Royalties are also given for oil and gas. Through past wells, oil has already being established in the region with oil stains present with an API of 38.5 degrees. As noted earlier, Tangiers has potentially 5 billion barrels of recoverable oil in the region with as much as 12 billion barrels is classified as oil in place. On a more realistic level, the P50 (50% chance of likelihood) figure stands at 867 million barrels of recoverable oil, which is still substantial (75% of which is net to Tangiers). The only negative to these leads is that the depths that the wells need to be drilled to (generally 3000m+) means that multi-million drilling costs are incurred. The clear way forward for Tangiers is to acquire a partner on attractive terms. Positively multiple 2D and 3D seismic surveys have already been undertaken which should reduce the risk of failure. Tangiers' Australian targets are impressive also. Tangiers has 90% working interests in WA-442-P and NT/P81 exploration permits and 100% stakes in the NT/P83 and ATP-587 permits. These large working interests once again means that Tangiers would benefit massively from farming down its interests to a more suitable stake. Within these licenses numerous prospects are present. One of these, 'the Nova prospect', has an unrisked gas in place figure of 6.93TCF and a risked resource of 3.46TCF. The Nova prospect is located in the WA-442-P license. Using figures from Cove Energy's takeover, 3.46TCF values the prospect potentially at £791m of which £712m would be net to Tangiers. Of course, Tangiers is likely to farm this down thus assuming they keep a 30% stake this still values the single prospect alone at £237m. This is almost ten times higher than the current share price for one prospect alone. The 'Supernova' lead is also expected to have similar probabilistic gas in place figures as Nova. A further lead, the 'Milligans fan oil play' also has potential for up to 505 million barrels of oil of which 218 million is the mean value. Looking ahead, Tangiers will be farming out both licenses with Morocco being the first. Further to Genel's farm in, oil major Cairn Energy (LSE:CNE) also farmed into another San Leon and Serica block in late August. Interest in the area is certainly growing as is interest in East Africa. Attractive terms have been given out to San Leon and Serica with small lump sums, but considerable cash commitments to the drilling of future wells hence reducing the costs of the partners. Moreover, Tarfaya is larger than both of the San Leon and Serica licenses so should be the focus of hydrocarbon majors looking to enter the region. Without little doubt the finalising of this farm out will act as a share price catalyst going forward. Looking briefly at this years news statements, the company is gearing up for an eye-catching 2013 operating program. Just prior to Tangiers listing on the AIM on February 3, Tangiers raised approximately £4.06m via a placement to fund further work at each location. A point that it always interesting is how firms listed on the ASX are suspended pending news announcements thus it is easy to purchase shares on the LSE in anticipation of such an announcement. 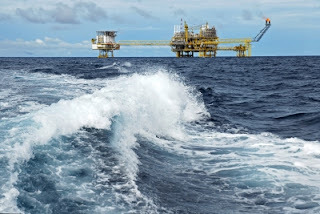 On April 3, a CPR (Competents Person Report) was released for the Milligans oil play which included the figures addressed earlier in the article. A further quarterly cashflow and operations update was then revealed in late July with updates across all operations. However, between these two announcements no significant news was released. perhaps this was the reason why the share price drifted substantially between them. In early August a further placement for £540,000 was made through a private placement. A week later Tangiers was awarded a further license (NT/P83) as outlined earlier. Executive chairman Mark Ceglinski said: “The grant of NT/P83 is a exciting step in furthering the Company’s strategy to expand its exploration portfolio and leveraging the Company’s technical expertise to identify potential leads and plays in areas believed to be highly prospective for hydrocarbons. NT/P83 is an excellent complement to the company’s existing Moroccan and Australian acreage." In September another small placement was undertaken for £641,000 to help fund forward operations. The reason why this negatively affected the share price was due to the level it was set at - 18p/share. Clearly financing the project has proved to be a problem for Tangiers, however once the farm outs are achieved, there should be little problem for Tangiers in some of its licenses. Depending on the terms they may also be able to utilise potential funds to progress licenses that are not farmed out. In late September Tangiers then raised £3.71m to 'launch [the] growth strategy'. This should keep Tangiers adequately funded through the rest of the farmout. Evidently Tangiers has tremendous potential in creating share price appreciation through farming out its assets and drilling exploratory wells to prove up resources. The assets appear top class in size and potential, but of course these will need to be proved and drilled successfully. The potential resources at Tangiers far exceed the current price, but of course that is the catch - they are potential. However, Tangiers certainly looks to have been ignored since its London listing and it looks a very good company with solid assets. This is reflected in broker Old Park Lane's target price of 150p/share. Aside from the 2012 upside, going into 2013 Tangiers offers investors a high risk, very high reward choice. I own shares in TPET and it has excellent prospects. Haven't been active for a while so the best news here is that ASX are suspended around time of expected news. Anyone who has held joint lse/asx shares will know whatI mean. Those Oz dingbats are crazy for shorting and dumping, worse than TSX. Trouble with these 'jam tomorrow' shares is 'dilution, dilution, dilution as one fund raising follows another unless they are lucky enough to bag a strong partner. I would think here that bottom has not yet been called if POO slips back it is market sentiment which dictates not fundamentals - be prepared for a slow ride which could be bumpy.